It’s been over a week since the final event of Let’s Dance International Frontiers 2018 and I think we can safely say it was one of the most successful so far! This year’s programme, exploring some of the most influential figures and voices in dance, lead to some of the most thought-provoking and eye-opening experiences we could have wished for. 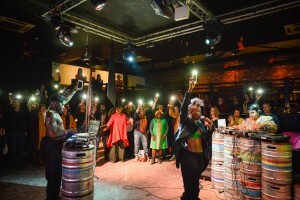 We launched the LDIF18 with Nora Chipaumire at 2Funky Music Café. An event exploring Nora’s political stance on the eighties and inspired by the uncompromising Grace Jones. The performance started with the words ‘move closer, this is a dance event after all’, setting the tone for the whole festival of inclusion and participation. A night where everyone got to be involved in the performance and one no one will forget in awhile. Later in the week we the moved in to the Victorian Gallery at the New Walk Museum. An incredible space fitting for out next artist, Namron. Namron took part in the Biography section of our programme, a platform where we celebrate experienced dance practitioners and enjoy the rare opportunities to listen to their stories. Listening to his incredible achievement was inspirational for me as a young dancer. Namron also spoke about the idea of what he would do next, which is such an important lesson to realise even when you’ve achieved so much, as an artist there always room to push yourself and grow. This lead perfectly into our conference, Ancestral Voices: Dance Dialogues. A day full of demonstrations, conversations and performances. Opened by our keynote speaker Germaine Acogny the day then lead on with talks encompassing views from around the globe, including L’Antoinette Stines (Jamaica), Namron (UK), Bob Ramdhanie (Trinidad-UK), Barbara Ramos (Cuba), Jeanguy Saintus (Haiti) and a performance by Maria da Luz Ghoumrassi and a short film by Omari Carter. Each speaker highlighted a unique perspective on dance reflecting from their own experience and heritage. The evening then lead to an event at the Belmont hotel where our very own Pawlet Brookes launched Serendipity’s brand new publication Invisible Visibility. If you missed it you can still check out the book that explores key barriers that marginalise disabled artists right here. After the conference the festival was in full swing, workshops in the day and performances every night, I think it’s safe to say it was a jam-packed few days. Each day consisted of three workshops, first with L’Antoinette Stines, followed by Jeanguy Saintus and finally with Barbara Ramos. These classes pushed the participants to try new styles and techniques from around the world they had most likely never had access to before. The beauty of the workshops spanning across three days allowed for a beautiful growth in each dancer allowing them to leave, not only after having fun but knowing enough to carry these techniques further into their practice. For our first evening performance we kicked of our time at the Curve with Signatures, a night where six very different emerging artists are given the platform to showcase their new work. This year we got to experience the work of Paige-Brooklyn Kennedy, KHS One, Hatti Dawson, Misato Shimizu, Project 44 and Maria da Luz Ghomrassi. All of whom after their brief performances left us wanting to see more of these artists. 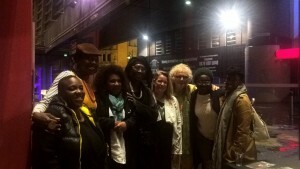 The next evening we pushed the boat out, putting on two shows in one night; Urban Jazz Dance Company and Autograph. The inclusive Urban Jazz Dance Company represented by Antoine Hunter and Zahna Simon was an absolute treat to watch, I think every audience member left smiling from ear to ear. The piece focused on teaching the audience about the how a deaf dancer learns to feel the music as well as teaching a little sign language and getting the audience involved. Such technically talented dancers who quite clearly love performing and engaging new audiences. Autography saw the return of Ella Mesma and DMU graduate Mac Daniel V.Palima. Both artist who have been working on their solos since their LDIF17 appearances in Signatures shocked their audiences with how far the work had come! Ella Mesma presented to pieces; a development of her solo Papillon, a piece about transformation and renewal and a duet made for two members of her company Foreign Bodies, a protest about ‘dis-ease’: fear of ‘unknown’ and ‘cultural contamination’. Mac’s solo was a breath taking exploration of gender fluidity. 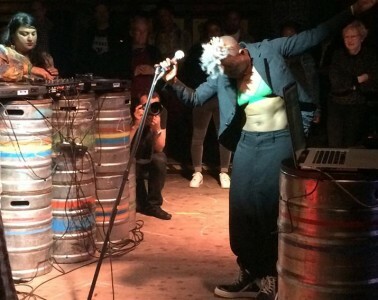 He began to explore natural everyday movement questioning the idea of whether gender is performative. The finally of LDIF18 was rounded off perfectly by Germaine Acogny’s UK debut of Somewhere at the Beginning. 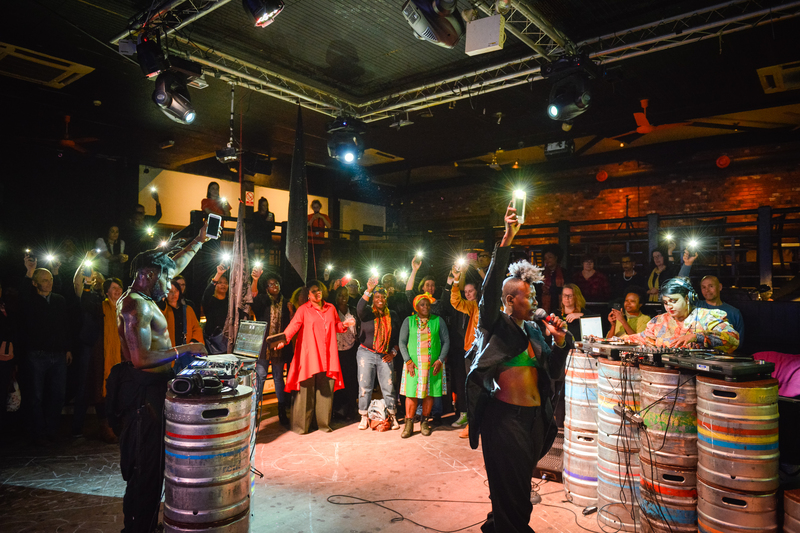 The chance to see the ‘mother of contemporary African dance’ was a privilege in itself and an exciting moment for Leicester who are at the forefront of international work. The piece was exquisite and while both nights it receive a standing ovation the audience whilst leaving were speechless. We would love to say a huge thankyou to everyone who made LDIF18 such a huge success and we can’t wait to see you all in October ready for BHM18.